This is a full court defensive system for basketball that completely disrupts the opponents as it changes shapes and starting points. Yet, it is fundamentally sound and easy to teach and learn. Players love playing a style of play that is exciting and creates an up-tempo. You can cause chaos for the opponents and fun for your team with The Full Court Amoeba Defensive System. You will not find this system anywhere else, it is a unique one of a kind defensive system. 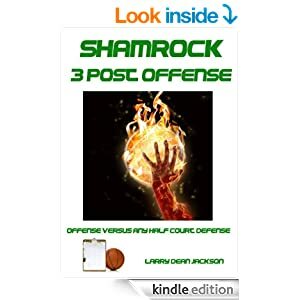 This entry was posted in BOOKS, Defense, Pressure Defense, The Program, Uncategorized and tagged amoeba defense, coaching basketball on May 5, 2014 by admin.